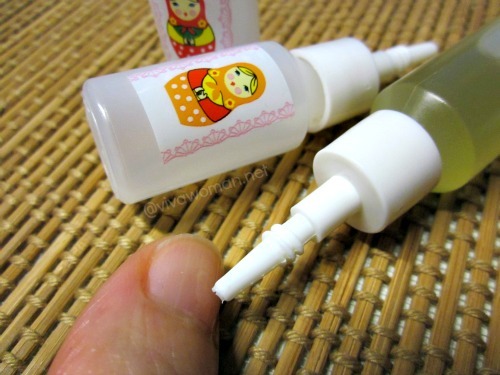 I really like these small serum bottles from Sasa. They’re great for my DIY oil mixes as I can test them in small batches before deciding if I want to make a larger batch of the oil mix in a glass bottle. In addition, I can dispense the oil easily and they are also very handy. Finally, they’re easily available and so cheap! 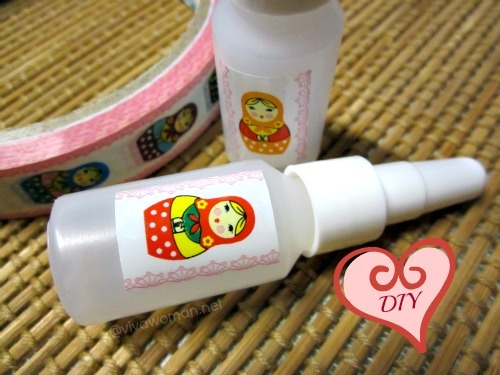 So today, let me take you through a simple pictorial DIY post using these bottles. The only drawback about them is that they’re kind of plain. But that doesn’t mean you can’t dress them up. How? Let me show you! Actually it’s too easy. All you need is a cute sticker, or a pretty one if cute is too tacky for you. As for me, I like my Russian doll tape. Don’t you think they make my bottles look so pretty? 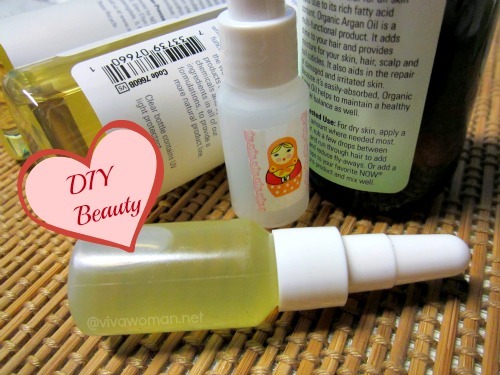 I realized that these bottles work very well for DIY cuticle oil because one, they’re handy and two, they’re able to dispense the right amount of oil for small areas. Cool eh? So are any of you also using these handy serum bottles? 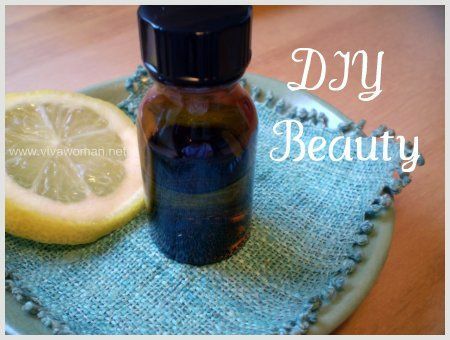 Like the idea of using them for your DIY oils? 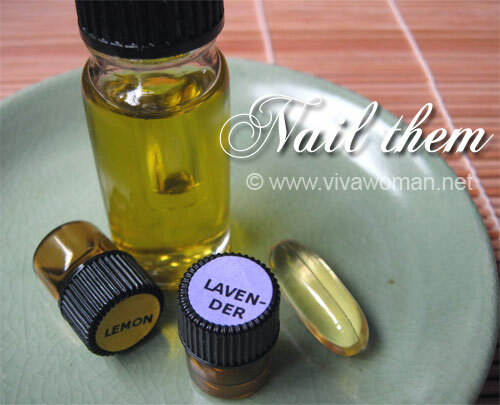 You can also use them to test your other DIY lotions or serum. I definitely love them because they work well as my “oil testers” and they can fit right into my bag if I want to carry them out on the go! oh! if you are keen on glass bottles, my SIL bought the brown (small) glass bottle with the rubber tip from Skin Pharmacy! Think it was less than $3 each? I’m not sure whether they still sell them cos’ she bought them a year ago. you can call them or just drop by into their shop and ask if they still offer them. I bought Skin Pharmacy’s ‘house-blend’ EO and I love it! It’s called ‘awaken the mind’ and I use it in the home made hair gel for the hb and he loves the scent! only thing – it’s quite ex. about $30 for the small bottle. maybe cos’ the oils are organic? i found the hairgel recipe online – using only flaxseed and water! I added the EO to make it smell good (and last longer!). 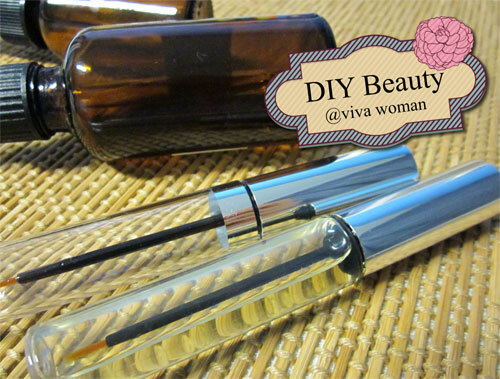 Here’s the blogpost I – with a link to a lady’s video tutorial! charmaine last post is: medicine for upset tummy and a whiter smile?? plus something for dog lovers at the end of the post! I think I saw them when I was last there. But it’s the usual size, not the small ones I think. Anyway, SP’s pricing are a bit too ex. I bought some stuff in the past but not keen to buy any more. true. then again – most things in singapore are getting so ex! Cool idea! 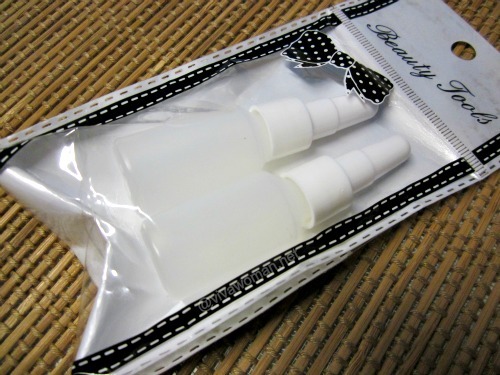 I don’t have a SASA where I live, but I’ve bought similar looking bottles for travel skincare stuff from Muji. The serums though are always tricky. 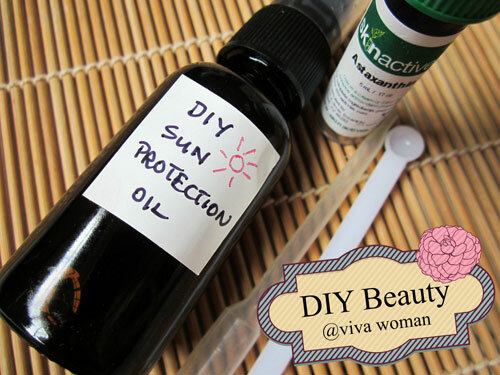 Would you recommend a bottle like that for DIY Vitamin C? For vit C, best to use glass bottles. since these bottles are plain I suggest also to name your formulation and write it on a sticker on the bottle. I have so many empty bottles of products that I have used. Those with pump mechanism are very handy. I love the sticker idea to make the bottle pretty. I will use scrapbook stickers for mine. hehe. I haven’t come across that many small ones in pump bottle though. But yes, your idea of writing the formulation is good.